Premium tax credits: First, what are they? They are an advanceable, refundable tax credit designed to help eligible individuals and families with low or moderate income afford health insurance purchased through the Health Insurance Marketplace. In January 2014, the Affordable Care Act (ACA) began making these tax credits available. They were created to provide financial assistance to millions of Americans who could not otherwise afford health coverage. Now, a recent analysis from the Kaiser Family Foundation, estimates that half of U.S. households eligible for a tax subsidy under the health law would owe a repayment, while 45 percent would receive a refund. Kaiser analyzed historical patterns of households that qualify for the ACA premium subsidies, assessing how often their income changes. The analysis estimates that the average repayment is $794 and the estimated average refund is $773. The U.S. Department of the Treasury estimates that 3 to 5 percent of all tax-filing households will need to reconcile ACA advance premium tax credits when they file 2014 taxes, representing about 4.5 to 7.5 million households. According to the health law, households with incomes from 100 to 400 percent of the federal poverty level ($11,490 to $45,960 for an individual in 2013, the base year for 2014 subsidies) are eligible for tax credits on a sliding scale to make health insurance premiums more affordable, for plans that have been purchased in the ACA Marketplaces. 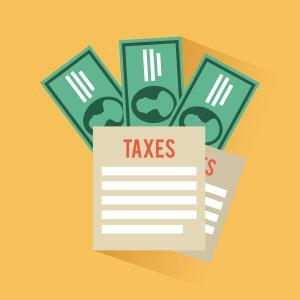 Taxpayers have the choice to receive subsidies in advance, based on their projected income, but are required to reconcile with their actual income when they file their income tax. If their income is higher than they projected, they could be required to repay all or a portion of the credit. If income is lower, the household receives a credit. The main reason someone’s projected premium tax credit would need adjustment is that their income changed, or their family size changed (birth, death, or divorce), which affects the family’s income as a percent of poverty. People are encouraged to report these changes to the Marketplace so their advance credit may modified, however, they may not be notified in all cases. Even when midyear changes are reported, some reconciliation may occur when taxes are filed. Households with an original income between 100 and 200 percent of the poverty level would have the lowest average repayment ($667) and refund ($412) amounts. Recently-released federal data shows that about two-thirds of people who sign up for insurance through healthcare.gov and report their income have a household income up to 200 percent of the poverty level or $22,980 for an individual in 2013. Households with an original income between 300 and 400 percent of the poverty level ($34,470 to $45,960 for an individual) would have the highest average repayment ($1,380) and refund ($1,601) amounts. For nearly half (46%) of all households owing a repayment, the amount would be between $200 and $1,000. For about four in 10 (42%) households receiving a refund, the amount would fall in that range. A relatively small share of households had final incomes greater than or equal to 400 percent of the poverty level ($45,960 for an individual). These households would owe the highest amounts because they would be required to repay the entire advance credit without a cap on the repayment. Repayment estimates for these households ranged from an average of $2,306 to $3,837, depending on the original income. For 2014 federal tax filing, households who over-estimated their annual income will likely receive a refund, while those who under-estimated will likely be required to repay their premium tax credits. Do you have additional questions about premium tax credits? Share here!